To borrow from CX thought leader Colin Shaw: Customer experience is the sum of all interactions between a customer and your organization. 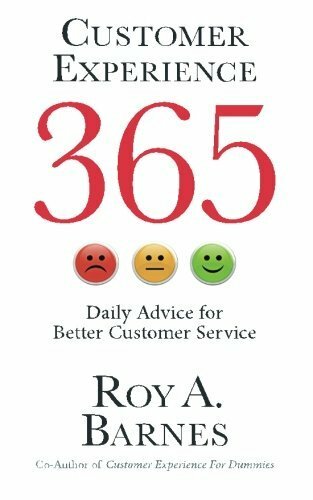 It is basically your organization's physical performance, blended with the emotions you create, through the filter of customer expectation. At all points of interaction, the customer's expectation is the most important ingredient because if you meet their expectation, they are pleased. If you exceed their expectation, they are ecstatic. But if you don't meet their expectation, they will find a company or organization who does. How can you then effectively create a plan for a great customer experience? Keep reading. Start by drafting a formal declaration of your customer experience desire: the intent statement. The intent statement is not a marketing slogan, but it is a directive through which all subsequent work will follow. It supports brand positioning, but it is more in similar to engineering schematics. Through this intent statement, a defined set of criteria will be set for the organization to manage and monitor the delivery of customer experience. Use these maps to mark the customer's journey through your organization and all the touchpoints they encounter. This touchpoint map will bring you a clearer understanding of the customer's experience with your business. Once you map the touchpoints you may find you have to tweak or completely redesign some of them. This redesign will simply improve the customer experience. This doesn't have to take long. We like a process that takes about 20 work days to accomplish redesign, allowing time to brainstorm, propose change and execution methods on the proposal to send to corporate, get a response, and put it into motion. Start listening to customers and effectively manage the response. The goal is to be able to respond to customers as they happen—in real-time. Employees who interact with customers need to be on board with the customer experience initiative because they are the ones to deliver this service. Employees will need to be rewarded for great customer experiences otherwise the plan will fail. It will also fail if they are rewarded for beating budget, but are bankrupt of customer experience. If the organization you work for is led by a team of administrators who never mention the customer, this motion is going to be an uphill battle. You can't go it alone. Everybody's got to get on board financially and philosophically. Customer initiatives without hard number data based on performance metrics and aggressive goals are not what this plan is about. You will build a highly visible customer experience dashboard and regularly monitor, review, and discuss each and every measure within. 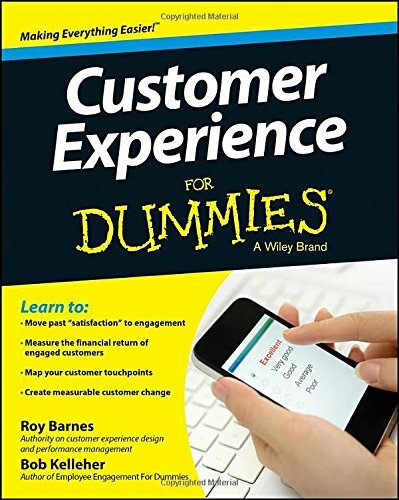 For more information on each topic presented in this article, check out Customer Experience for Dummies.